Mastering LinkedIn - Build the Career tab and promote available job openings. Although it has taken a backset to other more popular social networking sites, LinkedIn is the most popular professional networking site. 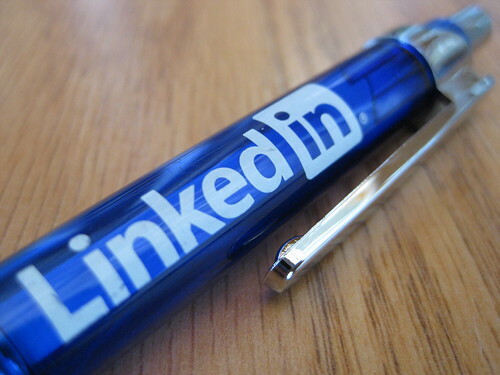 With more than 175 million users, LinkedIn is an underutilized but powerful platform. Instead of a million numbers, make it look nice and clean with a unique personalization. Add a profile badge to your personal website. Promote your LinkedIn page with a Profile Badge on your own personal website or blog. Make your blog/website links more appealing. Change the anchor text to make those links more appealing to people who view your profile. Use keywords in your headline or summary to make your profile more visible. Take advantage of LinkedIn’s different applications improve profile. Take advantage of "Saved Searches." Three searches can be saved and run again later. Email reminders can also be sent once new members match your saved searches. Enable more time for users to answer your questions by re-opening questions once they are closed. Quickly turn profile into a resume. By choosing the resume template, you can quickly transform your profile into a resume that can be exported to them print, email or share. Use LinkedIn's job board to find a job. The job board allows you to search for jobs in different industries and locations. A new features called Endorsements, enables users to endorse their connections for skills they’ve listed. Endorsements will give you credibility. Send messages to people you are not connected to with OpenLink. Being a member of the OpenLink network, available to premium members only, allows anyone to send them messages. Keep Up-to-Date with "Network Updates." Keep tabs on what your connections are up to by periodically checking the Network Updates on the LinkedIn homepage. Allow yourself to be visible when viewing their profiles. LinkedIn enables you to easily export your connections. Connect with those who are in the same groups as you without having a first-degree connection. Syndicate LinkedIn updates to Twitter. Use LinkedIn Events to make face-to-face connections. You can even promote events that you are hosting. Make sure your webpage accommodates the new LinkedIn design. Post Targeted Company Status Update. Make the most of your LinkedIn Company Page by publishing company status updates for all your page followers to see. Increase the effectiveness by using LinkedIn’s targeting options. Company Buzz allows you to track what people are saying about your company and related topics on Twitter. Create interaction on your business' Company Page by adding video. Gain knowledge by browsing questions and answers that have been shared by others. Track industry news with LinkedIn Today. Stay on top of news and industry trends with the LinkedIn Today app. Promote and share links to the landing pages for your marketing offers in your Company Status Updates, where appropriate in LinkedIn Answers and Groups, and Products & Services section of your Company Page. Created targeted Products & Services tab variations for your Company Page. Create different variations of the Products & Services section to cater to different audiences. LinkedIn ads allow you to target specific job titles, functions, industries, and company size. Use Group Statistics to target and market. You can access statistics for any group and then use them to determine the best course of action. Become a leader, create a group.. Establish yourself as a leader by creating a group based on an industry-related topic, and become a LinkedIn Group administrator. When you are a group leader, you can email the group up to once a week. You can also publish polls on the group page and also share your poll on Twitter. .
LinkedIn has a feature that allows users to leave recommendations for other users. You can also collect these for your Company’s page, products and services. Build the Career tab and promote available job openings.